Eager to meet great writers? Well, the short story is the ideal medium to discover new favorites. A folio of short stories is the perfect platform to showcase the literary craft of intriguing authors—as displayed in these two ROAP published collections. If you have the itch to read, but have only a long moment to indulge then immerse yourself in brief adventures of the imagination in these short stories. Both volumes are filled with bite-sized doses of thrills, chills, passion, and humor. Modern readers have discovered short stories provide the satisfaction of a full story (but with fewer words). Despite fewer words, the journey into the imagination is complete with the satisfying story arcs and memorable characters—and all within a dozen pages or so. And short stories conform well to our contemporary lifestyles being easily read on a smartphone while sipping a cappuccino at a local coffee shop or waiting for a train. In these and other life-moments, the short story is an entertaining and thoughtful companion. Twisted Tales is mixed-fruit jam for the soul. You are assured to laugh, cry, dwell deep and sigh. "...a small piece of literary art, but only small in word count." 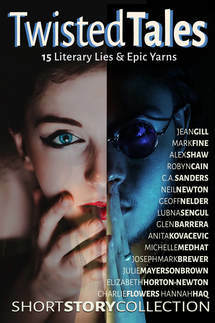 "Glad to have been introduced to the work of so many different authors through this anthology and recommend it wholeheartedly." 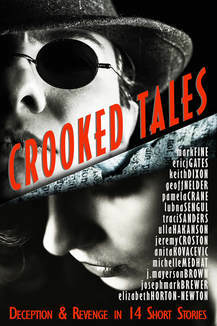 ​introduce you to the place where the unexpected happens, the crooked are wronged, and some wrongs are righted. "...the standard throughout is exceptional, as one would expect from a cluster of writers from Readers of Avenue Park... much to be enjoyed... grab a copy."